It’s been nearly a week since moving my blog to WordPress and it has been a learning experience, let me tell you! I’ve been so busy setting everything up that I haven’t even had time to cook! I finally just had to tear myself away from the computer for a little while tonight and get in the kitchen! 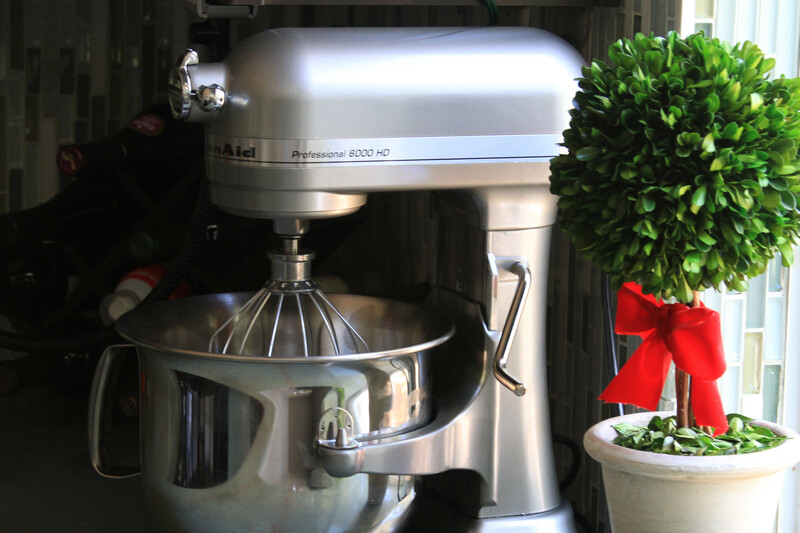 Now, a couple of weeks ago, I introduced you to my New Friend in the Kitchen, my KitchenAid stand mixer! Oh my goodness, I cannot believe that I have survived for so long without this machine! For years, I’ve admired them, but never bought one because, well, I simply didn’t think I did enough baking to justify it. Well, I could not have been more wrong. So far, I’ve used the mixer to make masa for tamales and several batches of pizza dough (we like pizzas around here) and these amazing salted dark chocolate chip cookies! I am now a true believer in the power of the mixer and I am loving it! Now New Year’s Resolutions are not really my thing, but this year, I really told myself that I wanted to concentrate on learning how to bake. Being the daughter of a non-baking mother, I just never learned the art of it and for a long time, I even feared it. But this year is going to be different and I have the KitchenAid to thank for that! The author of the recipe put a lot of emphasis on mixing the ingredients slowly and almost methodically. I truly believe that this careful mixing resulted in an altered state of cookie awesomeness! These cookies were rich and decadent and stayed soft and chewy the day after they were baked! I have never been able to achieve this level of cookie Nirvana before! I made a few small alterations to the original recipe. I did not use nearly the amount of chocolate chips that the original recipe called for and I used only Ghirardelli bittersweet chocolate chips. Since I am a big fan of salted dark chocolate, I sprinkled each cookies with a few grains of Maldon Sea Salt. 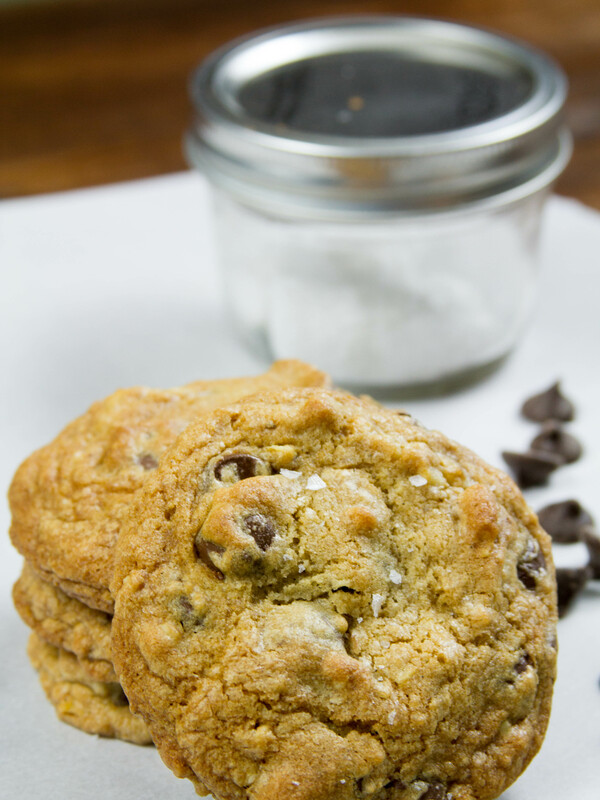 The salt balances the sweetness of the cookie and brings a lot of depth to the flavor. Sift the flour, salt and baking soda in a mixing bowl and set aside. Combine the chopped walnuts and chocolate chips and set aside. In the bowl of the mixer, cream together the butter and the sugars until it is fluffy and light. I did this for about 5 minutes on a medium setting (#4). This is where the stand mixer is so valuable. When doing this by hand, it’s tempting to skimp on this step because your arm gets tired. After the butter is creamed, stop the mixer, scrape down the sides of the bowl with a spatula. Add one egg and on the lowest setting (#1) stir for exactly 5 seconds. Stop the mixer, scrape down the sides of the bowl again and add the second egg. Stir for 5 seconds. Stop the mixer, scrape down the bowl and add the vanilla and mix for 5 more seconds. At this point, it’s not going to look completely mixed, but this is ok. The flour is added in four batches. Again, with the mixer on the lowest setting, pour in one batch of flour and after it is incorporated, stop the mixer and scrape down the sides of the bowl. Just before the fourth batch is added, add the chocolate chips and walnuts and stir just until you can’t see any trace of flour left. Line a baking sheet with parchment paper. Use an ice cream scoop to portion 12 cookies and place on the sheet. Sprinkle each cookie with a few grains of the sea salt and bake. 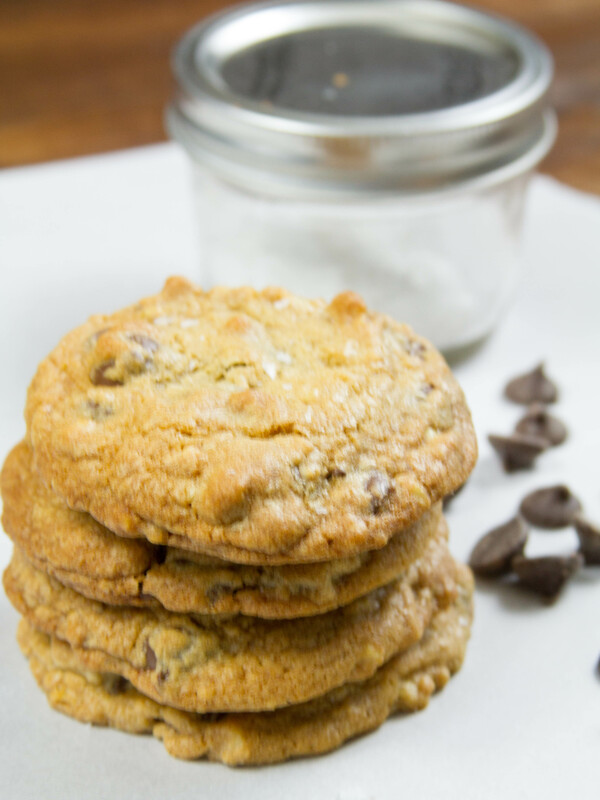 The original recipe calls for baking these cookies for 8 to 10 minutes, however, I chose to bake mine for 14 minutes and they were perfect–golden brown and puffed in the middle and crisp around the edges. When they are done, transfer the cookies to a rack and allow them to cool just a bit. Then dig in, because to me there is nothing better than a cookie warm from the oven! I baked one dozen of the cookies and the rest I portioned and placed on a cookie sheet and froze them for baking later! Thank you Alyssa! It is so exciting! I can’t believe it’s taken me so long to get one! Great idea to freeze some of the dough for baking later. I’ve never done that before but will do it going forward. Hi Lisa! Thanks so much for stopping by! I had never thought to freeze them before either, but now I have a dozen in the freezer that I can bake off in small batches when the craving hits me! Next PostMussels with Fennel, Italian Sausage and Créme Fraiche plus Rosemary Lemon Bread!